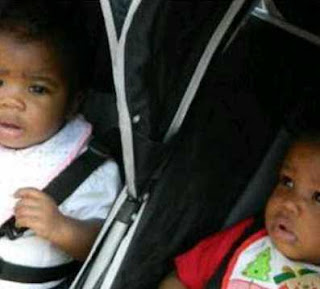 Emerald: Mother charged with killing her 18 months old twin babies! Mother charged with killing her 18 months old twin babies! A mother has been charged with murder after allegedly killing her 18-month-old twins by drowning and smothering them, and attempting to poison their four-year-old sister to death. Stacey Smalls, 41, is believed to have committed the crimes as she was in a jealous rage over an affair she thought her husband was having with another family member. She has been charged with two counts of first-degree murder, according to police. Her Facebook profile has a picture of a car with the words 'Hope she was worth it' sprayed across the side, showing her anger at the alleged cheating. Her husband, Ron Smalls, returned to their home after work as a corrections officer and found the children's bodies and his wife with her wrists slashed. He frantically called 911 at 4 p.m. and told police his wife had killed their babies and tried to poison their four-year-old daughter.